A binary tree restricts the number of children of each node to two. 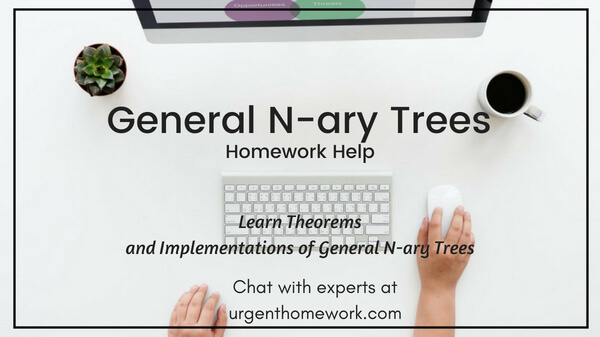 A more general N-ary tree restricts the number of children to N.
An N-ary tree is a tree where every node has at most N children where each one of the children are non-overlapping N-ary trees. For example, a 3-ary tree or ternary tree restricts each node to having at most three children. A quaternary tree limits its children to four. Figure, shows two examples of a ternary tree and a perfect quaternary tree of height 2. Figure, Ternary and a quaternary tree.